Emerging out of the shadows of the cult-like following of Vancouver, BC-based folk pop group the Be Good Tanyas comes Frazey Ford. 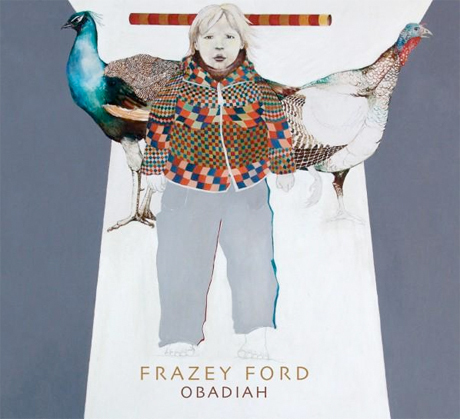 On her debut solo album, Obadiah, Ford ventures out of the comfort zone she had with the group atmosphere and into an area of unknown bliss, developing a sound unique to her upbringing and musical tastes. Obadiah will be officially released July 20 via Nettwerk Music, but you can listen to it now at Exclaim.ca by clicking here. Ford goes deeper into the '70s folk roots than she did with the Be Good Tanyas, all the while incorporating a soul element. Obadiah's first single, "Firecracker," combines Ford's mix of banjo and acoustic guitars with a gospel-type vocals. This formula is applied throughout, giving the album a different feel than most of her work with the Tanyas, but at the same time, a comfortable, relaxed feel her fanbase has surely grown accustomed to. With appearances from ex-bandmate Trish Klein, Ford's next-door neighbour and even her landlord, Obadiah demonstrates many different perks and exciting steps. More importantly, the album proves Ford has nothing to hide. Obadiah will be streaming on Exclaim.ca until July 19.